It’s no longer weekend recap since the past few weeks have been busy, I decided to share more than just the weekend since some socialising happened on what was for me regular days of motherhood. In between school pick ups, I’ve had enough time and energy to attend social gatherings and the like last week. 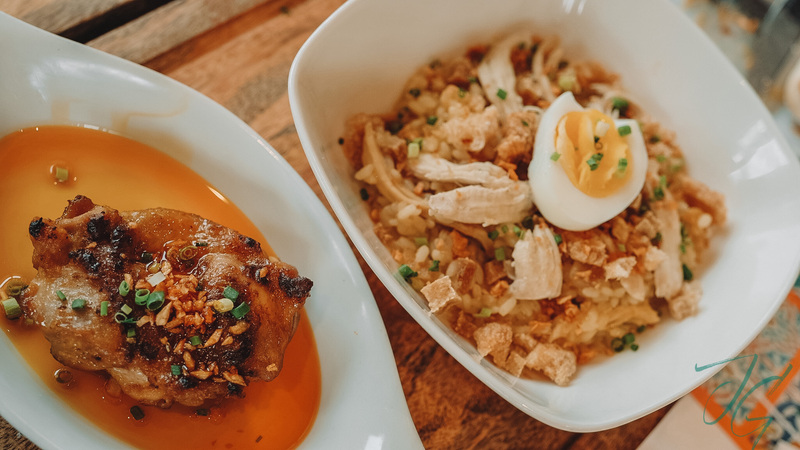 Good news to San Juan residents and those who drop off their kids to school in the city or in the nearby city because Barcino at Santolan Townplaza is officially serving breakfast! 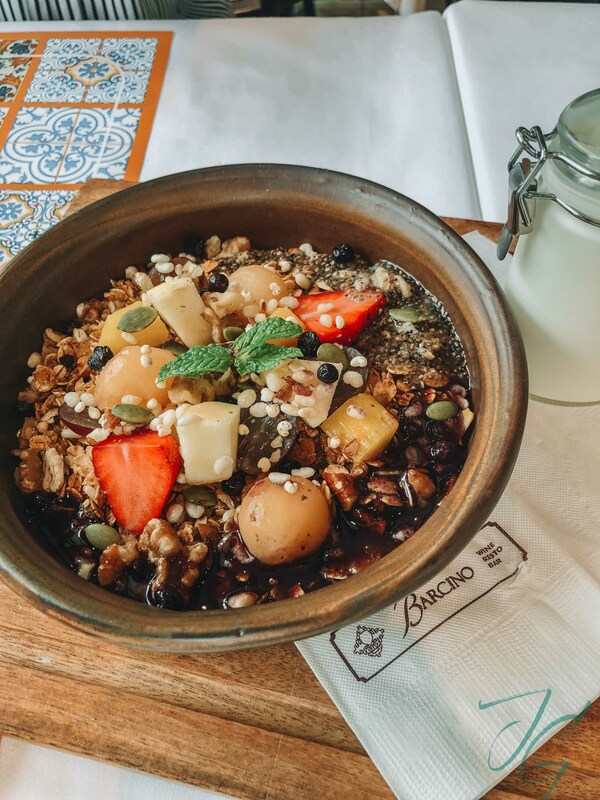 Check out their Spanish breakfast Desayuno At Baricno menu. 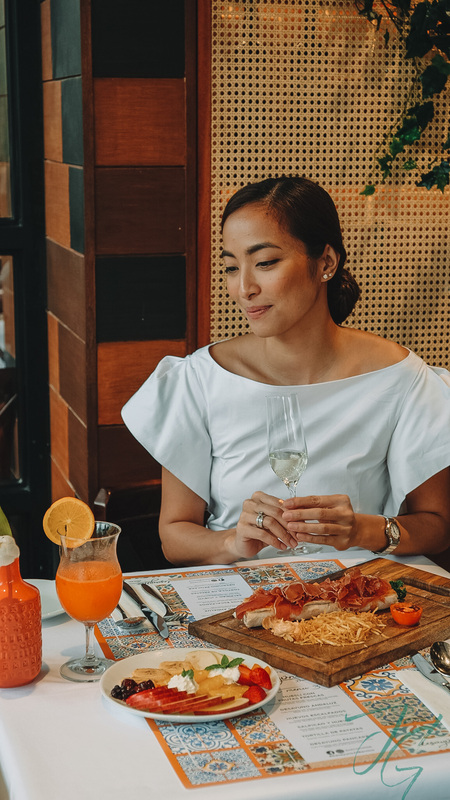 So happy because–my co-parents & I usually plan a weekday brunch get together–there’s another restaurant to add to our list of go-to for breakfast. A healthy & filling dish! 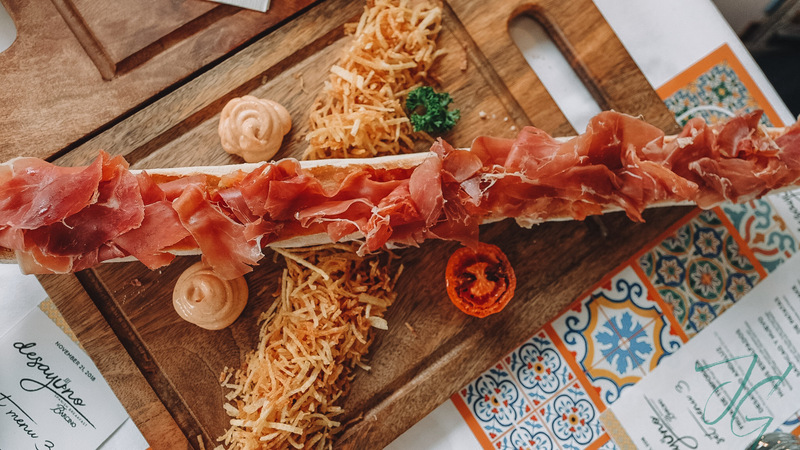 If you love jamon this dish is for you! Never thought I’d enjoy eating this in the morning without wine! Heehee. 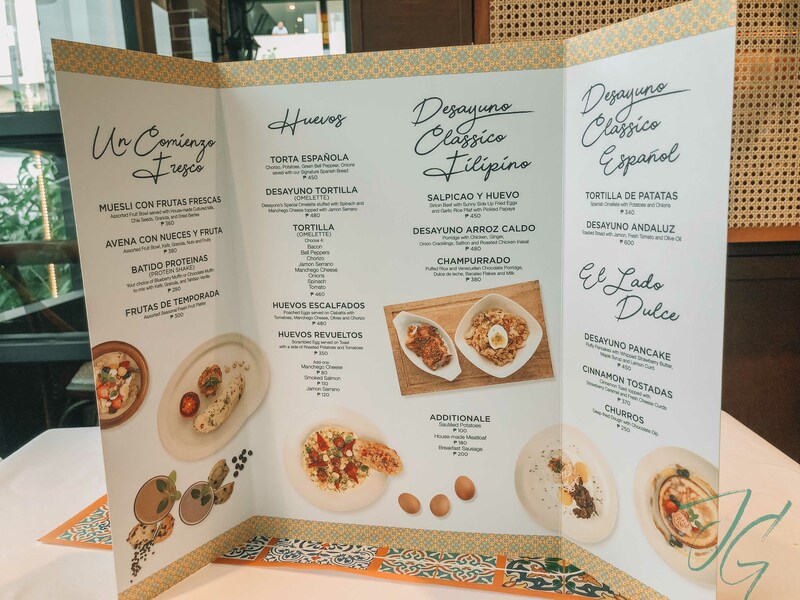 A Spanish take on a Filipino dish. The arroz clado is reduced making it like a risotto. It’s too flavourful that a side of chicken inasal balances it off. 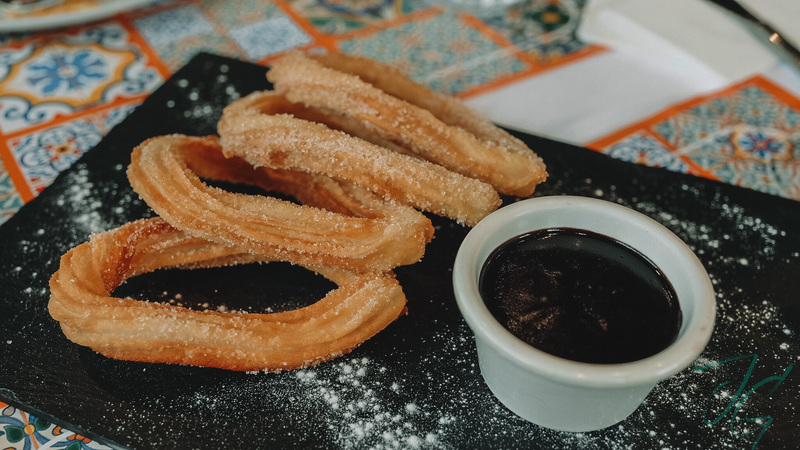 Capped off our Desayundo At Barcino with this crispy churros. The chocolate was such a treat! Desayuno at Barcino Santolan Townplaza in San Juan is available from Friday-Sunday 7AM-11AM. HAPPY 10 YEARS CERTIFIED CALM! This is the hashtag of the newly revamped Certified Calm during the event last week to kick start their 10th year anniversary. 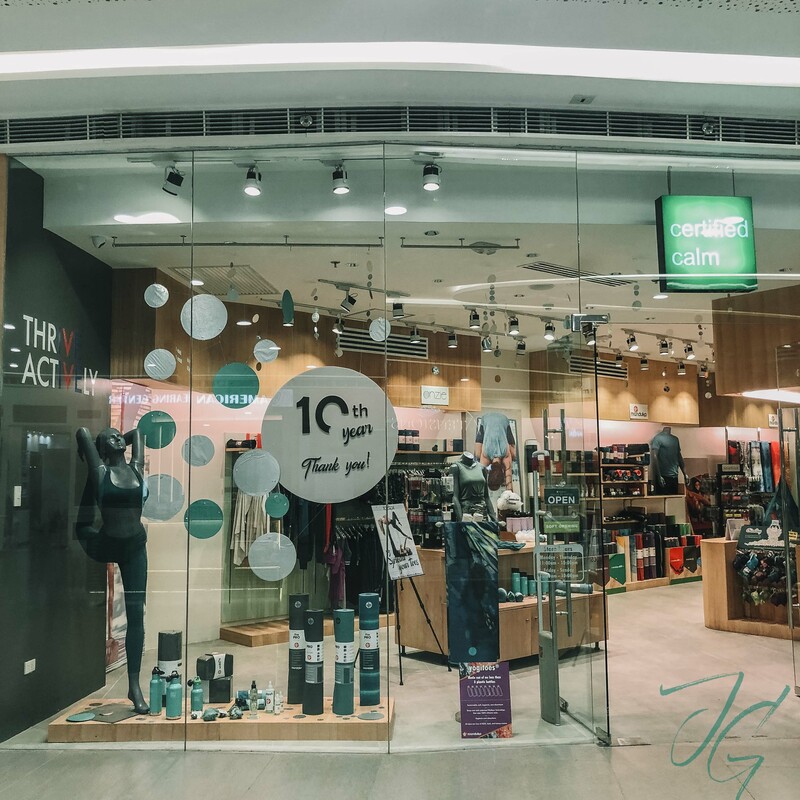 A decade of providing active people a place to get their Klean Kanteen products, Manduka mats, Lorna Jane activewear to name a few. I love how this brand has blossomed into a community beyond their stores. 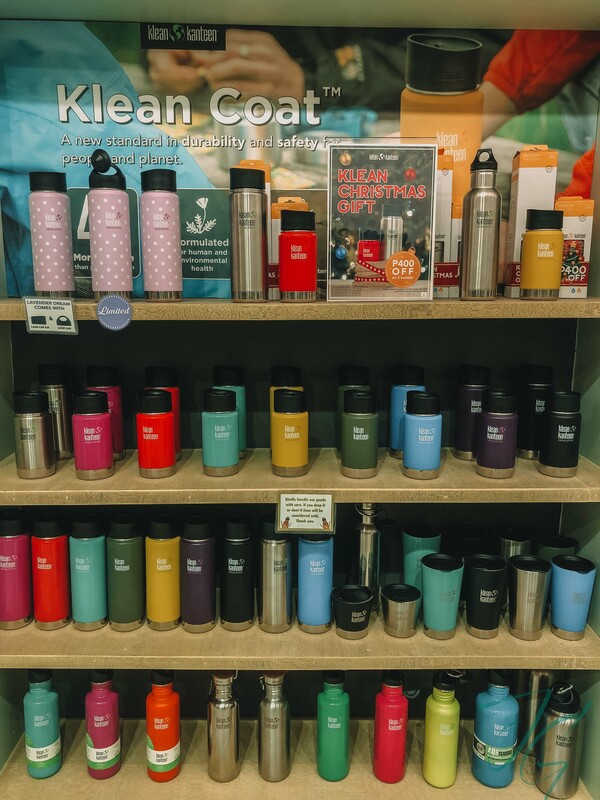 If you’re in Powerplant Mall, visit the CC Lab where an array of Klean Canteen products are Instagram-worthy displayed per color. For me to thrive actively means to have a balance in your life. To enjoy working out and not think of it as a punishment to your body rather a way of loving your body. Coupled with indulgences once in a while to make working out something to look forward to. Makes sense? I hope so! Heehee. With these lovely ladies: Isabel Dulay-Naval, yogini; Darcy Ong, the lady boss behind Certified Calm, and my partner (we used to attend Pilates, Suspension & Yoga classes together) and celebrity woman all-around Angel Jacob. So nice seeing you all! And congratulations again Darcy! Thank you Paui Guevarra for the photo! 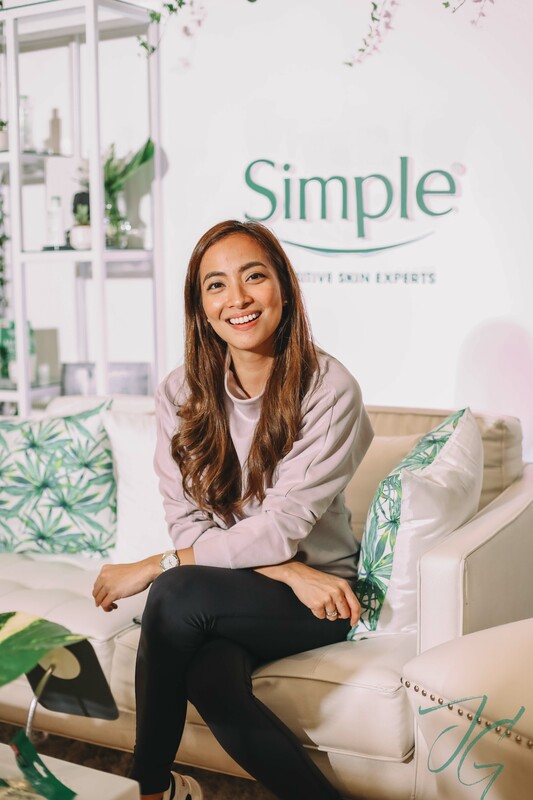 Simple is UK’s #1 face care brand offers a complete range of kind to skin essentials that are effective yet gentle on skin. The brand offers a range of products that gently cleanse, moisturizer and remove makeup, all with no baddies, just the goodies for sensitive skin. I’ve been using Simple Micellar Cleansing Water & Simple Dual Effect Eye Makeup Remover for years now and I love how these two products are so effective yet so simple to use. 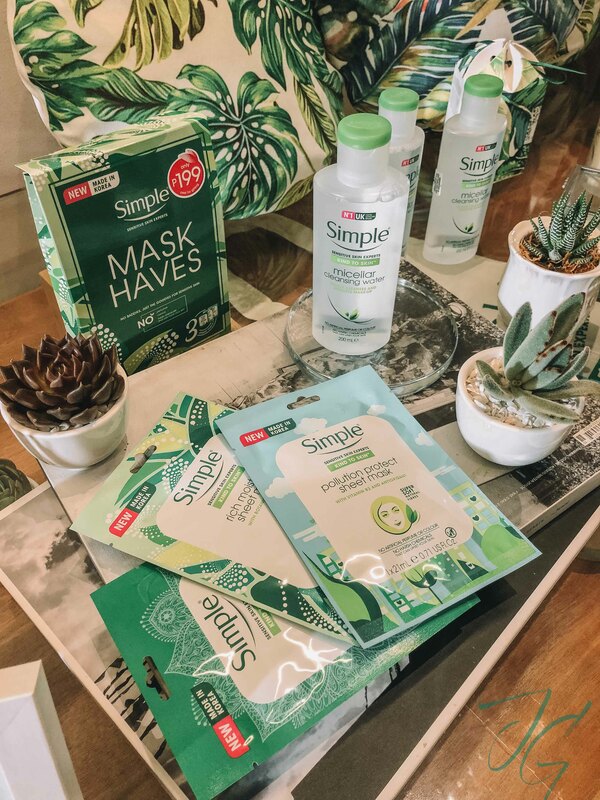 So when I attended their media launch last week where they revealed that they finally launched their Mask Haves, I was so happy! Dra. 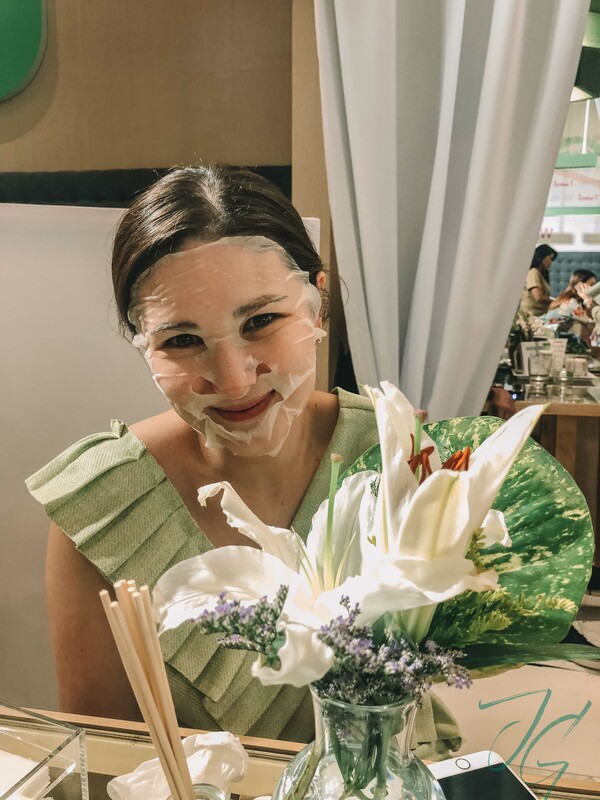 Anna Palabyab-Rufino trying on the Simple sheet mask. According to Dra. Anna, one can wear face mask at least once a week. But if you really love wearing it you can do so every other day. Just make sure that it doesn’t give your skin any irritations such as redness, itchiness and the like. Simple sheet masks give that moisture surge one needs in just 15 seconds! It comes with three variants– Simple De-Stress, Pollution Protect and Rich Moisture. 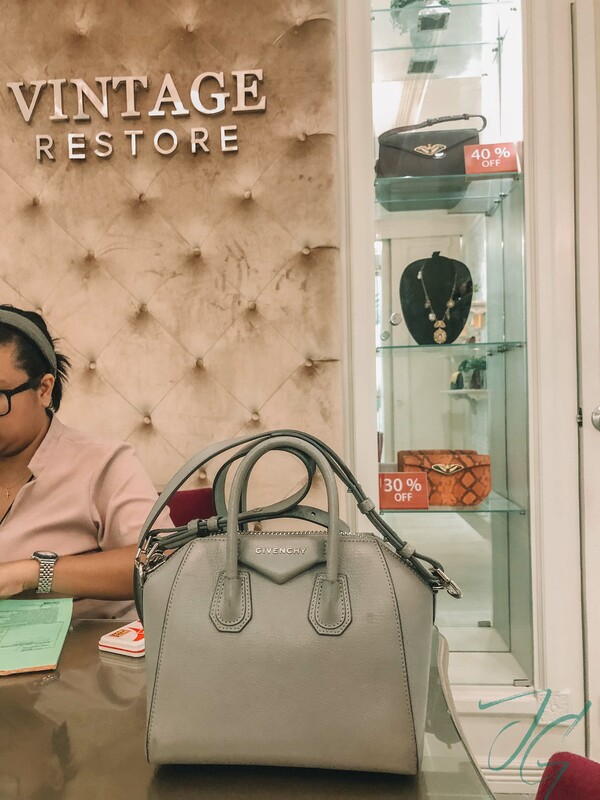 I went to The Podium mall to run some errands & found myself giving my Givenchy Antigona some TLC. I had The Vintage Restore clean & recolor my grey baby. Though it’ll take about 6 weeks, I’m excited to see it looking brand new. Will post an updated photo of it once I get it. So many new restaurants at The Podium I salivated walking pass each one of them. Maybe I should do a food crawl of them on my YouTube? Heehee. One of my favorite Korean brands ever, Innisfree is finally in Manila at SM Mall Of Asia! Attended the VIP shopping event and happy to report that the prices are at par with that of Korea. Love love love their Super Volcanic Pore Clay Mask (hoarded on these last month when I was in Korea so I bought something different at the store here) as well as their room diffusers! Swipe right to see what other products are available at the store. They also have makeup products aside from skincare! 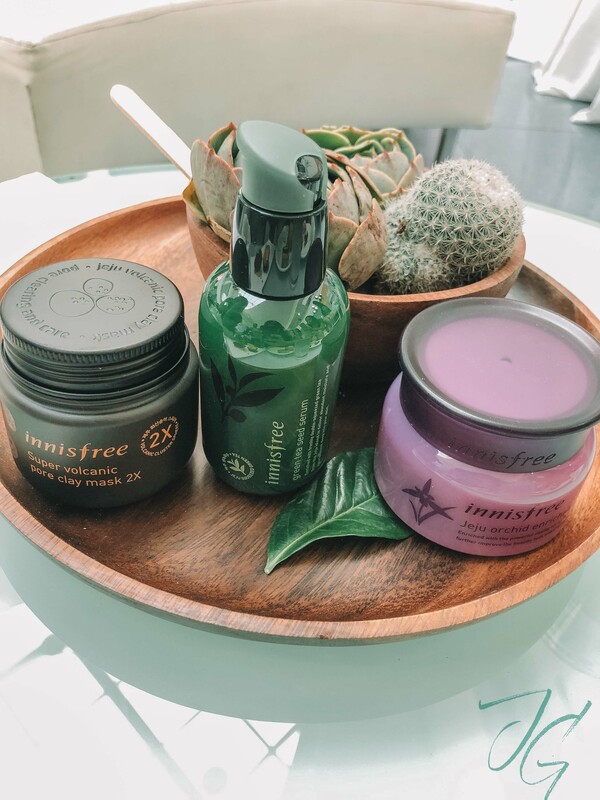 Top three best sellers of Innisfree: Super Volcanic Pore Clay Mask, Green Tea Seed Serum and Jeju Orchid Enriched Cream. 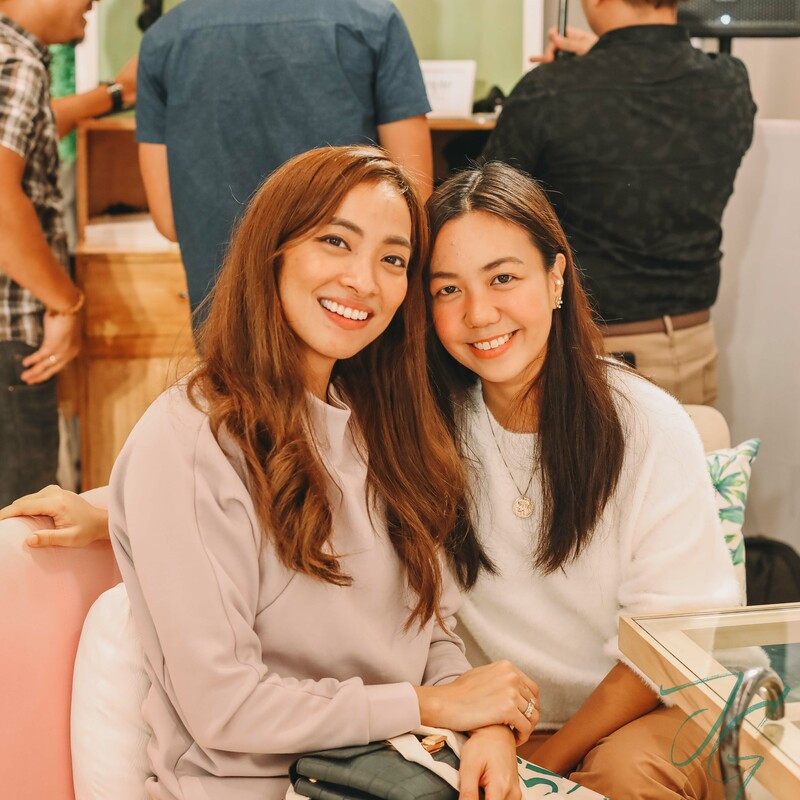 Last Saturday I went to Aruga in Rockwell to checkout Ilaya Lounge’s private shopping event. 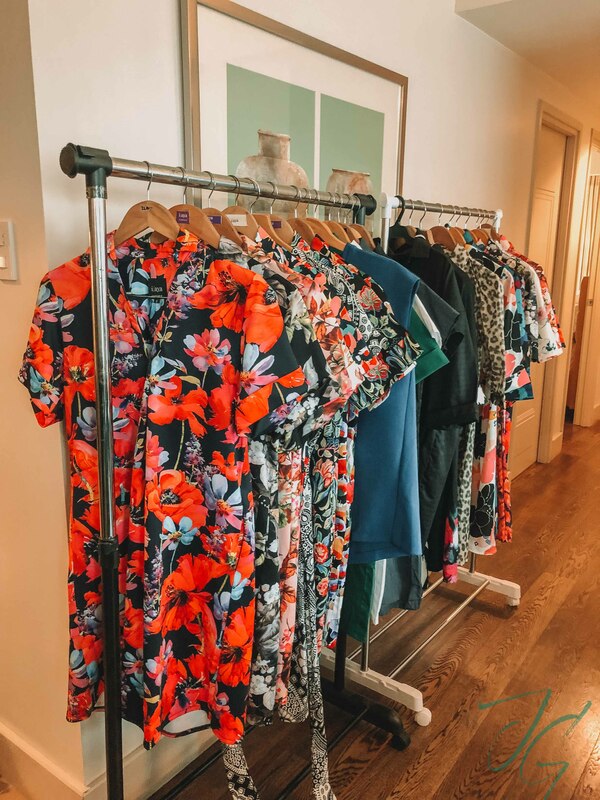 This local brand has been crafting clothes since 2004. So glad I finally met the lady behind the brand. 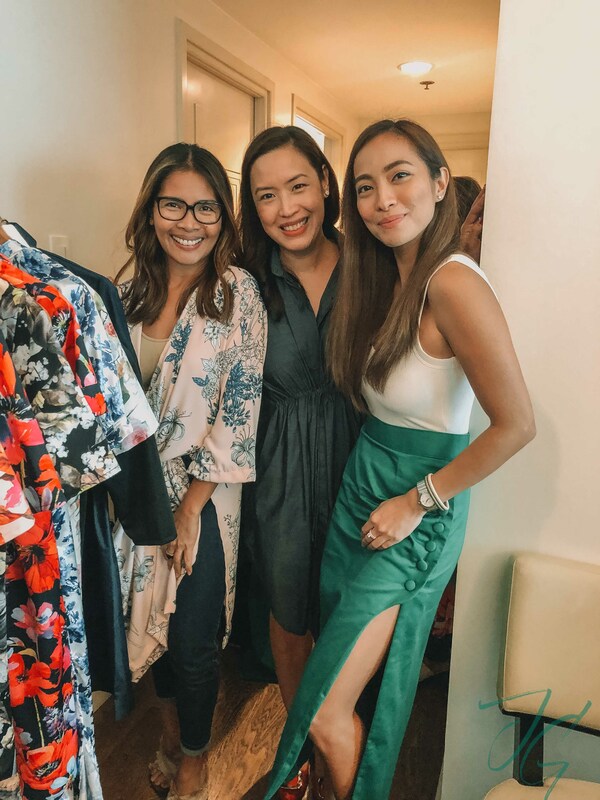 Bea, the woman behind the Lounge side of Ilaya and Tina the lady boss behind Ilaya teamed up to give us women their holiday collection. I love, love, love the dresses and kimonos I got! I’ll share them over my Instagram soon! Congratulations Bea & Tina! 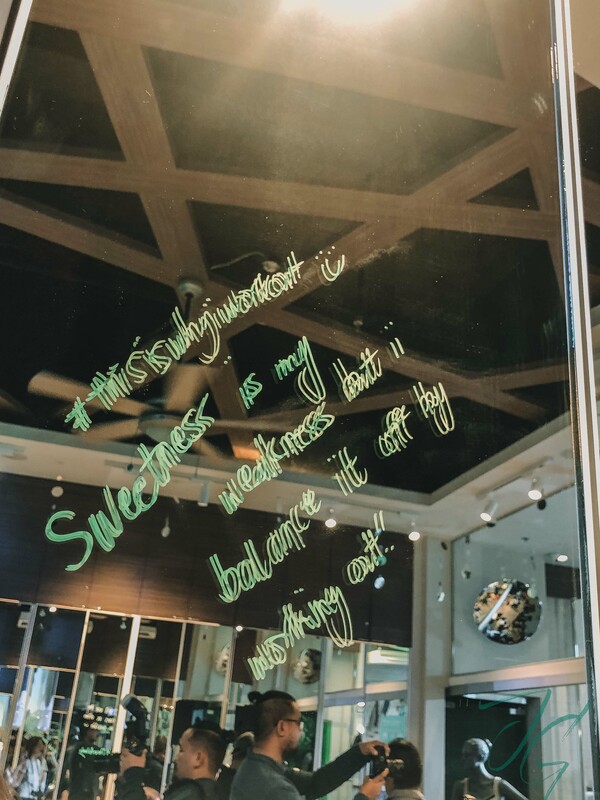 I felt so drained with all the social commitments I had for the past two weeks that some pamper time was the best thing that happened to me last week! Mr. JG & I went to The Spa (our favorite!) and had their classic massage at one of their private villas. Love their Fort branch because there was abundance of natural light! If you’re into massages or have friends and family who love getting pampered, now is the time to buy them The Spa gift certificates. Swipe right on my Instagram post to see how you can get rewarded. Here I was wearing one of the dresses I got from Ilaya Lounge. Paired it with a denim jacket and sneakers for that laid back look. Because on weekdays I really love to indulge and to treat myself with some of my favorite things. Here’s how I capped off Sunday slowdown. 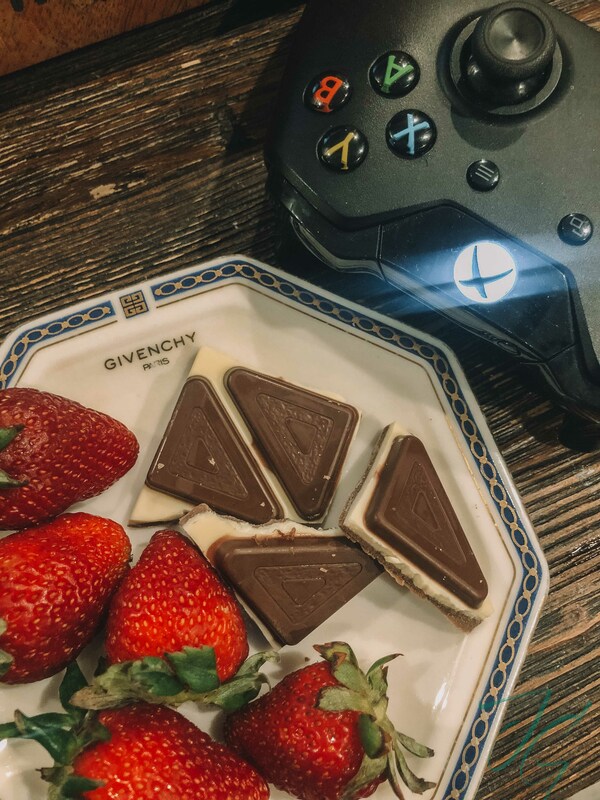 Enjoyed a bunch of fresh strawberries which I ordered from @mymomfriday and a few pieces of Milka chocolate (I really cannot resist chocolates even if I try so hard huhuhuhu) while playing a round of Call of Duty. Heehee. So that’s how my week went. It was crazy busy yet it went by in a blur! Hoping for a more laidback week!